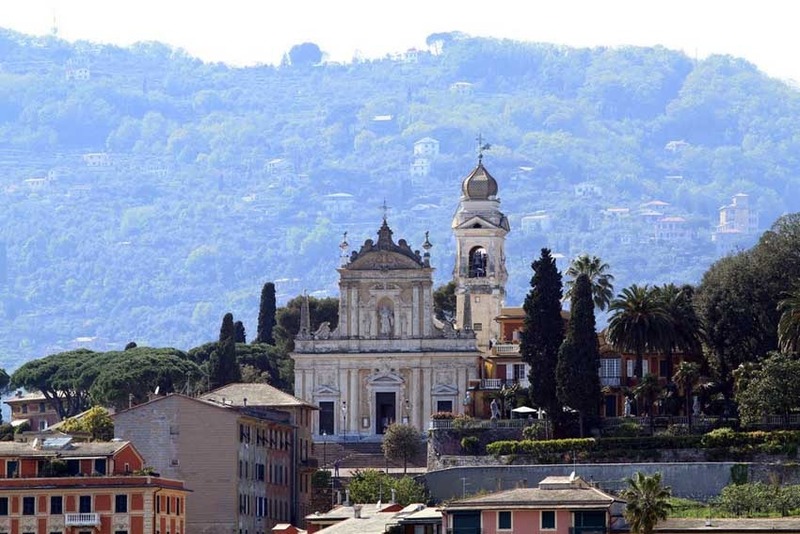 Unforgettable catholic wedding ceremonies can be organized at the Church of San Giacomo in Santa Margherita Ligure, only a few minutes’ drive from the exclusive resort town of Portofino. 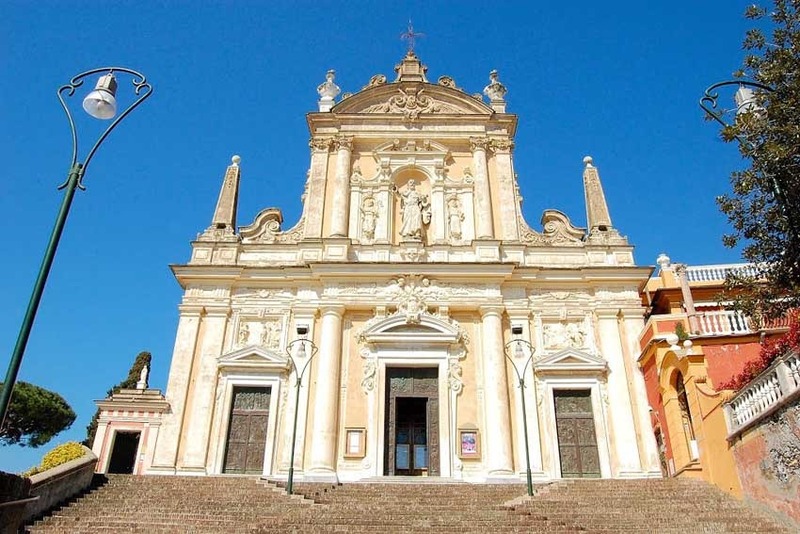 In the heart of Santa Margherita you can celebrate a Roman Catholic ceremony in a beautiful and impressive Baroque church that enjoys an enviable position on the Tigullio Bay and Santa Margherita. The light-colored façade with beautiful stuccos stands in a scenic position next to the beautiful Italian gardens of Villa Durazzo. 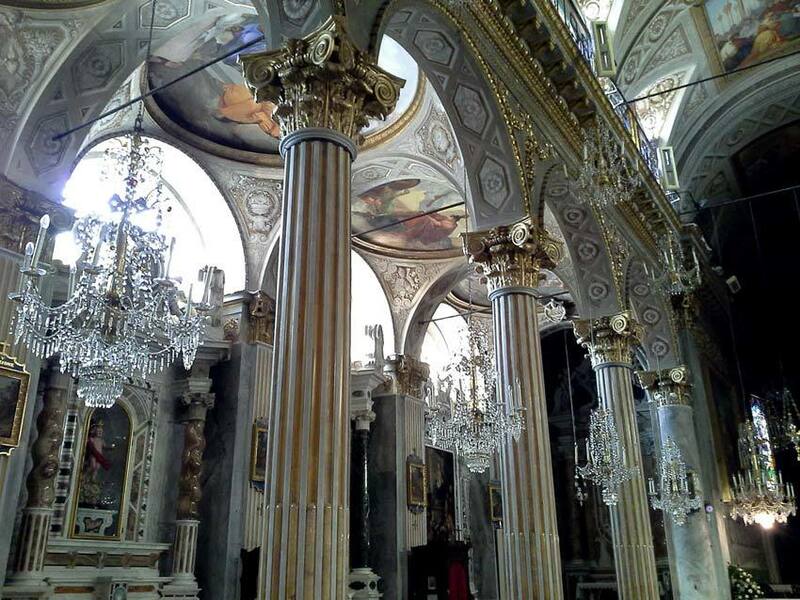 The interior of this church will astonish you, since it is all decorated with impressive frescoes by Nicolò Barabino. 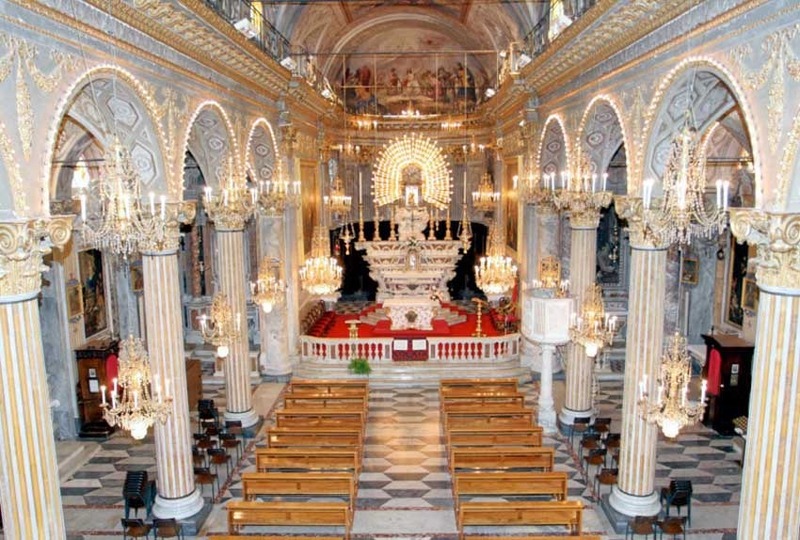 This is definitely one of the most charming churches where to plan a catholic wedding ceremony in the Italian Riviera. The Church of San Giacomo will host catholic wedding ceremonies with civil validity if required, or if you are already married civilly it is also possible to only have a religious ceremony. Spouses must fulfill the religious requirements before arriving in Italy, and our staff will assist you with all the requested documentation. The church can hold large ceremonies up to 150 people. The ceremony can be performed by an English-speaking priest.